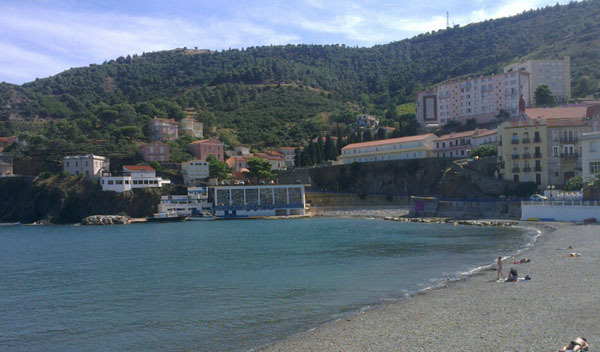 I first heard of the idea of the Raid Pyrenean during my first visit to the area around 6 years ago. The idea is simple, ride from the Atlantic to the Med along a set route close to the Spanish border with a 100 hour time limit from start to finish. The route was initially devised in 1952 by the Cycling Club Bernaise and has only changed slightly over the last 60 years due to changes in the roads and traffic conditions. Overall the aim and the ethos remains the same, ride from coast to coast in 4 1/2 days. I made the decision to mark the end of my 40th year with an attempt at completing the Raid. From a preparation point of view, the first thing to do is try to visualise what it is you’re trying to achieve. Imagine riding 4 tough sportive courses of 80 to 100 miles on consecutive days (taking in some of Europes toughest climbs) and you won’t be far off. We’d been warned in advance to expect 8 hours a day or more on the bike. With a young family (2 year old and 5 year old) and a relatively young business, finding time for training was never going to be especially easy. During the last 4 years since I started the Bike Science business, I’d gradually slipped from being a decent level time trial rider, to being a tad overweight and struggling to keep up with the local Sunday club ride. Any approach to training had to be gradual, this much was clear, so I’d given myself 8 months to prepare. Shhhhhhhh. As long as you promise not to tell anyone else, I’ll let you in to the most important training secret in cycling. Ready…? Sounds daft, but in todays modern world of supplements, power meters, Strava, aero this that and the other and all the other distractions that surround the cyclng world, it’s important not to lose sight of what actually makes you a good rider. 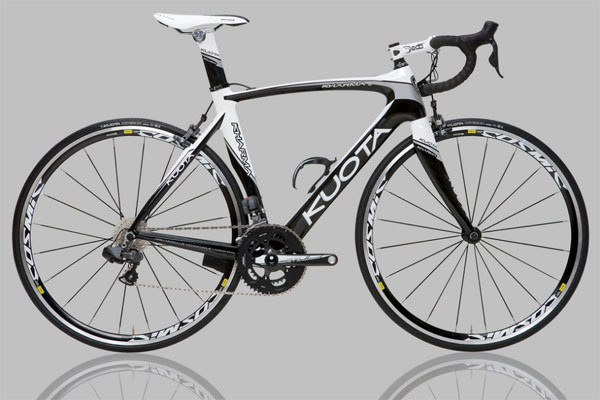 Focused time on the bike is the only thing that will make you fit and fast. To prepare for an event which the primary requirement is for you to spend time on the bike, you must spend time on your bike. So here’s the conundrum. You work a 60 hour week, you have a wife and kids who really would like to see you from time to time. How to fit it all in? The key for me was commuting. 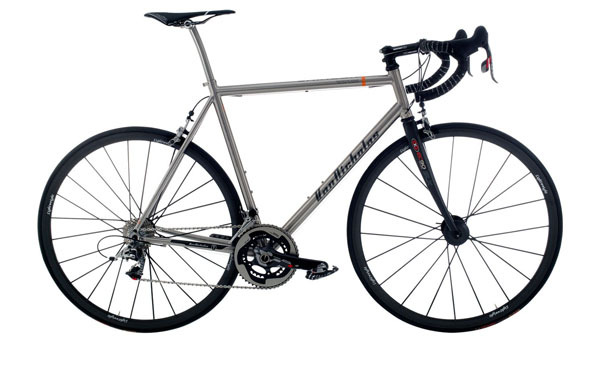 I live around about 25 miles from our central Bristol bike fitting studio. I rarely drive to work, preferring the train to cut through the rush hour traffic. I work 5 days a week in Bristol plus can ride on Sunday mornings too assuming I get going early enough. A quick back of the envelope calculation and there’s a potential 300+ miles a week I can fit in with only minor changes to my routine. So the plan was set, I’d gradually start to miss out train journeys and replace them with cycle commutes. On top of that, I’d fit in a ride on a Sunday morning when family commitments allowed and along with the help from a very understanding wife I’d ride one Sportive a month throughout the summer with the intention of having completed two 100 mile+ rides in the last few weeks before the Raid start date. My key advice to anyone who can would be to use commuting miles wherever possible, even if this means getting up early and riding away from work to start with to get the miles in. It’s easy to add miles to a commute. Riding frequently is great preparation for an event like the Raid where you’re going to be spending all day, every day on the bike. Overall training went mostly to plan. Riding home one or two evenings a week to start with was exhausting, with more than one occasion seeing me “bonk” entirely and crawling the last few miles in. Lesson learned. Need to eat more nutritious food during the day time to make sure I’m fuelled up for the ride home. The mileage gradually started to increase, hitting the 400 mile month mark in April for the first time in a few years. May saw 600 miles and June 800. After a brief illness in July (cold/flu), things were back on track in August. Rides home gradually increased in length, with more and more hills being added by deliberately seeking out hillier routes home to get as much climbing in my legs as possible. The final four weeks saw me hit 1000 hilly miles including a fast finish time at the Malvern Mad Hatter Sportive a distance of 102 miles and still feeling relatively fresh at the end. And so to the ride. I chose to go for a fully supported trip. 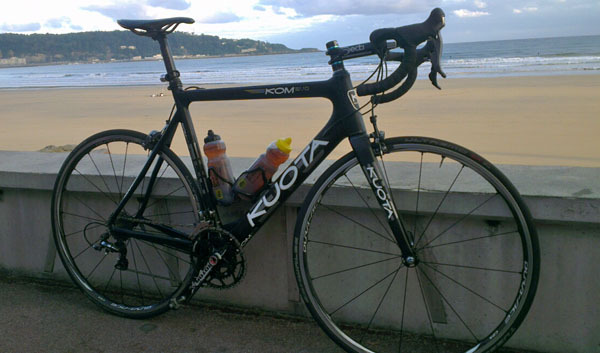 Given that I’ve stayed with them before, I chose Pyrenees Multisport as my ride organisers. This company is run by a British ex-pat couple Julie and Ian Wright. 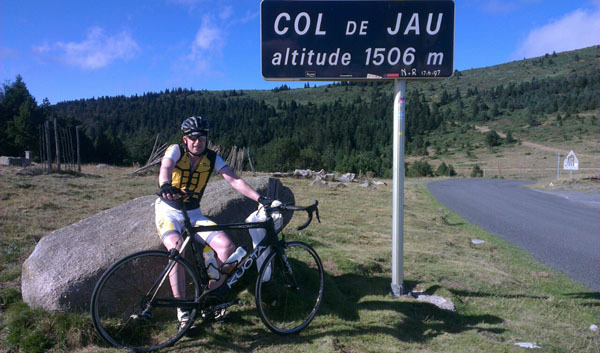 Both Julie and Ian are active multisport athletes and have over 10 years of experience in riding and guiding rides in the Pyrenees from their base in the central Pyrenean region. The question of whether to self support or go for a guided ride is one that you’ll have to answer early on in the planning stages. I’m a fan of riding light with the minimum amount of gear possible so went for the guided option. Many riders complete the 100 hour Raid challenge each year completely self supported though – your choice. For the sake of conciseness I’ll miss out the travel to and from the start and end points. This was all handled very efficiently by our hosts and went off without a hitch. After heavy rain during our friendly ride briefing the night before, there are a few nervous faces at breakfast this morning. Fortunately once it gets light the weather appears to have cleared. 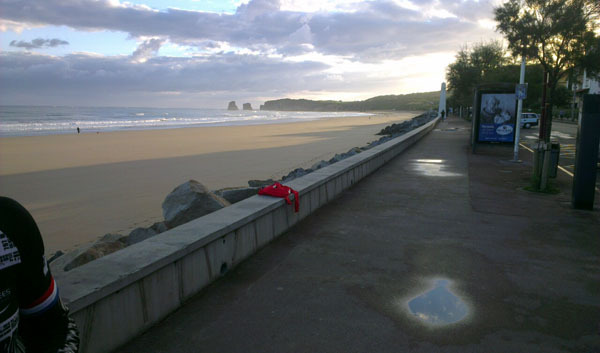 It’s early on Sunday morning and after a final bike check over, we’re off for the short ride from the hotel to the beach at Hendaye. With the start photos done, we’re away. With a few nerves apparent in the group, the initial pace is high along the beautiful Corniche coast road before heading in land for the first time. The first day’s profile is pretty much all gradually uphill through rolling rural countryside. The atmosphere here is very much Basque with sign posts in both languages throughout much of the day. I found the first days riding tough, partly due to the pace, lack of sleep (nerves I think) and digestion problems. I never really got into a rhythm and arrived at the finish of day one more fatigued than I’d have hoped, especially with what the route had lined up for us over the coming days. Some sort of group “pecking order” has been established, I finish second in line today with a friendly American rider Brad ahead of me. He’s been super strong today, with more pace than I know I can cope with, especially on the climbs. Riding a long tour like this is mostly about your ability to ride back to back days at an even effort. Much of this is psychological. Each morning, getting out of bed and getting the first few miles done at a steady pace is half the battle. The other half of the battle on a day like today is the 2nd category, 1st category and two HC (beyond category) climbs that need to be traversed before the next hotel. Day 2 starts with a short warm up followed by the 1st category Col de Marie Blanque. Reading the guide book description of the Marie Blanque (9.68km at an average of 7% gradient) could never do the climb justice. The start of the climb is gentle, following a stream running gently down to the village of Escot. After the gentle start, the gradient ramps up and up to around 15% in places. The last 4km are relentless, never dropping below 10%. 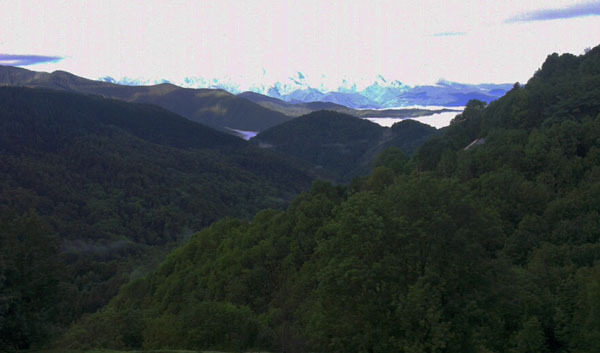 Welcome to the Pyrenees! After a stop to take off warmer clothes at the bottom, I’m in last place for the first few km and gradually peg most of the other riders back before the top. Having riders to chase is helpful, but I’m super aware of keeping the pace easy and under control so early on in the day. I finish the climb in second again with Brad ahead. At the top of the climb, we’re rewarded with a short stop to re-group before a steady, easy descent down into the valley and the long steady drag towards Laruns and the bottom of our first HC challenge. A short cafe stop later and we’re on the lower slopes of the Col d’Aubisque. Road cycling climbs were originally categorised by number depending on the gear the race director’s car needed to get up the climb, hence 1st, 2nd 3rd and 4th category climbs. Once the highest mountain passes were included in the grand cycling tours such as the Tour de France a higher category was required and the feared HC or beyond categorisation climb was born. There is no single requirement for a climb to be categorised as HC. The combination of length and gradient are taken into consideration. It’s rare for a pro to be able to ride an HC climb in less than 50 minutes, so for us mere mortals, once you see the HC label on any climb you can expect to be travelling upwards for at least an hour, possibly two or more depending on your level. The Aubisque is Pyrenean in every sense with constant changes in character and gradient as the climb progresses. On the first section of the climb Brad is hammering again. I try to maintain a steady sustainable pace and he yoyo’s on and off the front. 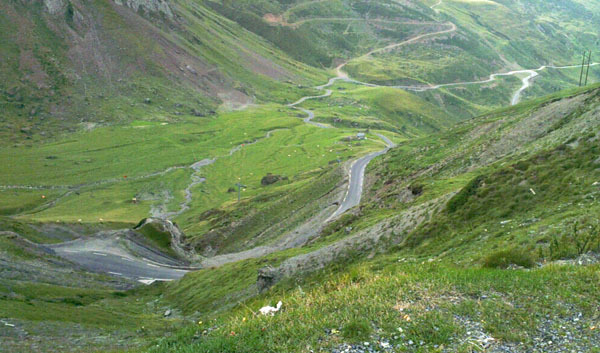 I’ve ridden the Aubisque before. Once you know the climb it’s a fairly easy one to break down into sections. Section 1 is wooded with a fairly gentle gradient up to the spa town of Eaux Bonnes. Section 2 sees some steeper parts until the start of the avalanche tunnels. Brad is still going hard here, but his changes in pace are more muted now. The next section takes you to the ski station at Gourette, the next is hard for a couple of km (Brad cracks here and understandably so, the gradient is totally unforgiving and we’ve been climbing for an hour or more by now) followed by the final few ramps up the summit. 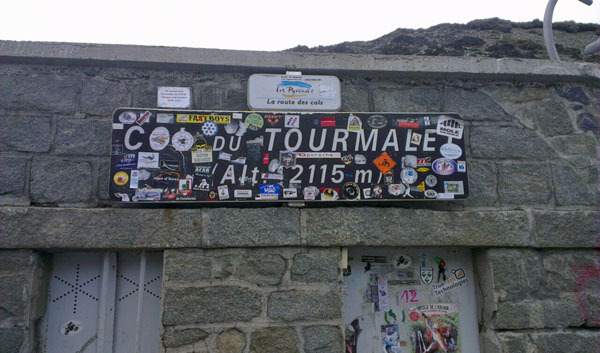 A tough climb in every respect, but the views from the top are stunning as are the ham and cheese baguette, can of Coke and a chocolate muffin at the summit cafe. 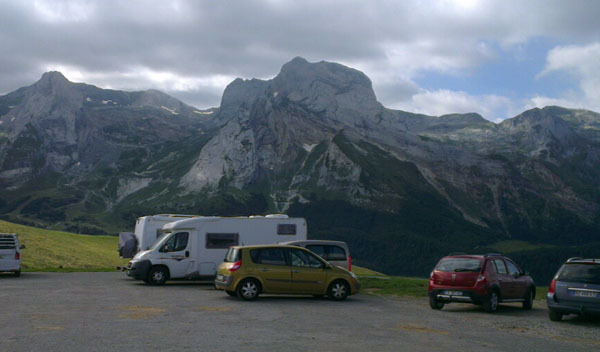 The descent from The Aubisque and over the top of the Soulor is spectacular. If you’re a fan of the Tour de France, you’ll almost certainly have seen it from a helicopters eye view. The pros have been clocked at over 100km an hour here! Not for me, I descend steadily down to meet Ian and the van at the bottom of the climb. From this point on and for pretty much the only time in the week, we’re under time pressure. The road at the bottom of the final climb of the day, the infamous Col du Tourmalet is only open to traffic for a 30 minute slot between 2:30 and 3:00pm. A small group of us push hard to make the deadline, knowing that if we miss it, a wait of a few hours before the road re-opens is possible. In June of 2013 the village of Bareges approx 5km into the Tourmalet climb was devastated by flooding. The road is currently unsurfaced for the most part of this section with work proceeding at a great rate to try and get repairs finished before the start of the ski season (vital to the local economy). It’s a strange experience to be riding through an area so badly affected, whilst trying to concentrate on the rhythm of climbing, avoiding potholes, crazy traffic, gravel and road workers. This makes the first 7km or so of the climb physically and mentally tough, but being surrounded by people’s homes that have been destroyed by the flood waters brings things back in to perspective with a bump. Once through the road works and after a quick stop at Julie’s van for Haribo and energy gels, I’m off again, isolated now I’m guessing about 15 or 20 minutes in front of the next rider having made the Bareges cut off with around 10 minutes to spare. The next few km pass without much of a hitch. The climb is tough, but I’m climbing well and the slope is falling behind me at a steady rate. With around about 6km to go, everything changes. I go for another gear, but that’s it, I’m out. The “click of doom”. 34/28 is the lowest gear I have fitted and that’s where I’ll stay for the rest of the climb. 6km, about 4 miles. Doesn’t sound like much, but with 100km of tough riding already in your legs and the exposed, high, steep mountain road of the Tourmalet ahead of you, 6km can take an awfully long time. I keep plugging away. With 2km to go I’m really struggling and as we approach 2000m altitude I have a major dizzy spell. Lack of energy, rather than lack of oxygen I expect, but hard to deal with all the same and simply keeping the bike on the road becomes tricky for a few minutes. I keep plugging away. Finally the cable car tower comes in to view. I’ve seen it on the TV many times. It’s a welcome sight. The last few hundred metres are unforgiving, but I finally round the last bend to meet “The Giant” and his sign proudly announcing an altitude of 2115m. I’m spent! I totter into the cafe and sit with my head resting on the bench in front of me for a while feeling sick. After a little longer I manage to muster up the energy to order a Coke and a Mars bar. It takes me a while to drink and eat them due to nausea, but once they’re down and digesting, some feeling of normality returns. It’s cold by now and starting to rain a little, Brad arrives at the top, but there’s no sign of any other riders in the group. I go in search of warmer clothes at the gift shop, but late in the day, I’m almost out of cash and decide to make the descent wearing what I have. I’m not the greatest descender at the best of times and the cold only makes matters worse. I find myself having to stop 3 or 4 times on the way down to stop myself from shivering. The small cycling friendly “Hotel des Deux Cols” in St Marie de Campan is a welcome, welcome sight. A hot bath and a hearty meal and I start to feel a little more human again. The last riders of the day, my room mate Vincent and another of our new American friends John arrive over 4 hours later having crossed the summit in the dark with the lights of the support van for company. They receive a well deserved round of applause from the rest of the group. Chapeau! The breakfast table is surrounded by tired bodies this morning. Yesterday was a tough day and it shows. No one seemed to sleep well at all last night, full of adrenalin from the day before and the realisation of how hard the next day of riding might be. John and Brad both decide to sit today out in the van. It’s not hard to guess that a hotel with the name “Deux Cols” isn’t going to be far from the bottom of another climb and straight from the word go today we’re climbing. The Col d’Aspin has appeared on many occasions on the Tour de France. It’s a beautiful climb, gradually winding its way through woodlands, never getting especially steep. I start easy again allowing my legs to recover from the shock of being back on the bike again just hours after yesterdays carnage. To my surprise I feel great, riding upwards towards the summit past the names of hundreds of Tour riders sprayed on the road, I suddenly hit a great rhythm. It stays with me for the rest of a memorable day of riding. It’s wet and foggy at the top of the Aspin, I dress for the long twisty descent into Arreau. I’m off a minute or so ahead of the next rider, Will, a Navy helicopter instructor who really seems to get going today. Will flys (almost literally) past me on the descent and I don’t see him again until we’re both safely down at the bottom. The next climb comes immediately after with a long gradual slope to the base of the Col de Peyresourde. I’m still going well, it feels effortless today and before I know it I’m passing the turn to Peyragude with just 2km of the first category climb to go. I stop at the top meeting up with the support van again, getting on some warm clothes and a quick break for pancakes at the summit cafe. I’m off again, this time for the long and normally fast descent into Luchon. The road is being re-surfaced in places with large areas of gravel, especially it seems on the bends. A few sketchy moments here, but after 20 to 30 minutes of descending, I’m back in the valley road and going again. There’s a strong head wind here for an hour or so as I ride a fairly major road on my own. I’m in time trial mode here, and cover the miles easily before the next short climb up the Col des Ares. The cafe at the top is closed, so I wait it out for the support van to arrive. By the time lunch is over, we’re all but re-grouped again before setting off for the next major climb of the day, the Col de Portet d’Aspet. Another really tough climb that having done before, I know what to expect. It’s steep, really steep with a couple of 17% sections. I’m on my own again by now, lowest gear, keeping the bike moving forward fast enough that I don’t fall over. A quick nod to the Casartelli monument is all I can manage today, knowing that once I’m over this one, that’s the real hard work out of the way for the day. Over the top again and a long gradual wind assisted descent into St Girons. A late lunch today courtesy of the Madison cafe and a huge baguette. Only 40km or so left to ride, but it’s all gradually up hill. The three RAF guys arrive along with a triathlete/cyclist called Andy (completing his second Raid Pyrenean). After a long lunch break, we ride the final section as a group. The long gradual drag is a tough end to a tough day, but it’s not long before we’re checking in to the next hotel. It’s not often you get a day where you feel this good on a bike. Today was one of those days and I’ll remember it for the rest of my life. Another early start today, but thanks to a monster meal in the hotel last night I feel reasonably energetic and ready to face our last long day. It’s cold this morning thanks to a thick blanket of fog. The forecast is good though and faced with our first climb, the Col du Port just a few km into the ride, I opt to start without leg or knee warmers. Looking back this was a pretty poor error of judgment on my part, as my cold knees were suffering for the majority of Col’s 12.5km length. Will is riding strongly again today, clearly boosted by the thought of this being the last hard day. He’s barely a few seconds back when I stop to capture the beautiful view back down towards Massat. The valley below still covered in a blanket of fog and the huge mountains of the Midi Pyrenees in the distance. If the flavour of the Pyrenees could be concentrated into a single relatively small climb, it would look something like the Col du Port. Not big, not steep, but a real gem of a climb with perfect scenery and a great technical descent that somehow never leaves you feeling in too much danger. We reach the top with me just a couple of minutes ahead and Will then proceeds to drop me like a stone on the descent (again). It’s a good 15km or so before I catch up to him again. We then make the turn onto the “Route de Corniches” described by our host Ian as rolling with plenty of ups and downs. I’m still struggling to remember the downs! The first section ramps to around 10% and seems to stay there forever. The following 20km are some of the quietest and most beautiful of the entire journey, apart from the occasional “cow jam” there’s very little traffic and the miles just keep rolling by. I meet up with the support van once more for refreshments at the bottom of the first category Col de Mamare. The climb gently winds its way through heavily wooded hillsides for 11km before reaching the summit. On the top the sense that we’ve moved climates today from Atlantic to Mediterranean is apparent. The sun feels much stronger here and there’s no need for too many warm clothes on the descent down to the cafe stop. To call this one a cafe stop is under selling it. On reaching the cafe, the three or four of us together decide that a full on meal is more what’s called for given the “calorific deficit” of the last few days. A huge plate of Carbonara later and we’re fuelled up and ready to go again. One of the RAF crew, Dave, manages to miss the stop altogether and carries on towards the final climb of the day alone and under fuelled. Stories of him foraging for blackberries on the final climb keep us amused at the hotel later. The descent from the Mamare is long and only occasionally feels like you’re losing height quickly. Further and further down towards the town of Axat and the final hard climb of the trip, the HC Col de Jau. The start of the Col de Jau climb is marked by the spectacular “Gorges de St Georges”. With vertical sides rising hundreds of feet either side of the road, it’s an eerie feeling before the road finally opens up at the bottom of the climb. The first 8 or 9km of the Jau are tough, even in mid September the walls of the gorge trap the heat and make for a sweaty effort to get over the steep first couple of sections of the climb. If you’re planning on riding the Raid in mid summer, then be ready for oven like temperatures here. At the 11km to go point, I cross a bridge and enter a long wooded section offering up some welcome shade. From here on in, the climb is not too difficult and it’s just a case of waiting it out and concentrating on the last few km of climbing. I catch up with Dave at the top. Ian has finally caught up with him in the van and he’s eating everything that isn’t nailed down. After that, it’s one final long and windy descent through some beautiful mountain villages down to the town of Prades and our hotel for the evening. They’re a really friendly bunch again here and the cold swimming pool is a welcome bonus for some really sore legs. There’s a party spirit at breakfast this morning, partly down to the knowledge that we’re just 85km of easy riding away from the finish and partly because we’ve been allowed a later start (by 15 minutes). We set out today with the goal of keeping the group together as long as possible. I take the “sweeper” role, riding on the back of the group and looking out for riders dropping off the back or gaps forming. This ends up being harder work that riding alone as the work rate varies from almost nothing to flat out as I drag the group back together time after time. The wind is strong today and it’s mainly from the side to start with as we hammer down the busiest road we’ve had to ride on the whole trip. There are a few hairy traffic related moments before the cafe stop with former ice hockey player John coming into contact with a van hard enough to remove its wing mirror. Reports from other riders in the group are that he doesn’t even break cadence. They make these hockey players tough! Shortly after the cafe, we get our first sight of the sea. There’s too much excitement in the group now to contain and splits form all over the place almost immediately. The last 15km are hilly and traffic is heavy. There’s nothing more I can do to keep things together so I make the decision to ride it in with my room mate Vincent. He’s a model of determination, clearly sore and fatigued from the 700 plus km already in his legs. I never heard a single complaint from him all week and it’s never in doubt that he’ll ride to the finish. 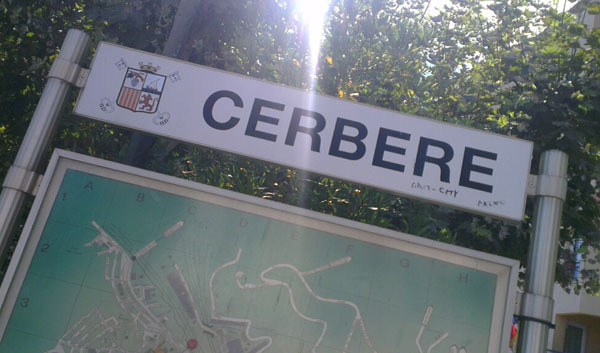 He needs a quick reminder a few km out that we’re subject to a time limit today to ensure we finish inside the 100 hour limit but his amazing descending skills (overtaking cars and mopeds during the last few km) make sure we arrive in Cerbere with time to spare. It’s time for a refreshing swim in the sea before munching our way through the largest, tastiest Paella in existence (now no longer in existence). Overall it’s hard to sum up a ride like this in words and I’m sure everyone who rode with us or has ever ridden the Raid Pyrenean will experience the journey in a different way. Having said that, the one permanent factor will always be the wonderful roads, valleys and mountains of the Pyrenees. For those of you who’ve managed to read through this and are sat wondering if you should have a go at the route yourself, of course you should. It’s a journey that will remain with you for the rest of your life. I’ll certainly be returning to the region again, as many times as I can manage. There’s just the small matter of the Raid Alpine nagging at the back of my mind before then. Huge thanks to Julie and Ian Wright of Pyrenees Multisport for their support, wise words and encouragement throughout the week. Thanks and congratulations to all the riders in our group. In no particular order Faye, Debs, Sandy, Brad, John, Vincent, Chris 1, Chris 2, Andy, Dave, Will, Naz and Paul. I hope to ride with you all again someday. 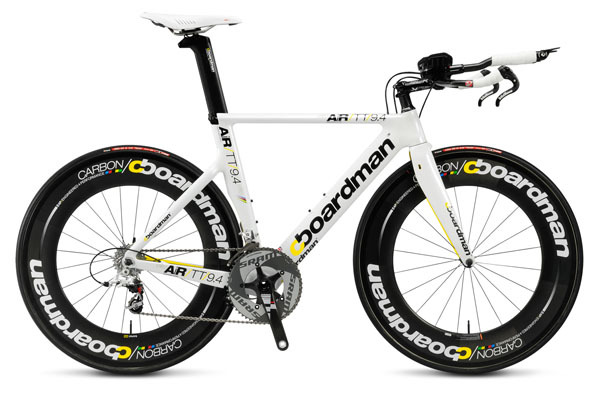 You’ll have seen them on bikes at local events or on pro’s bikes on the TV (including those of Tour de France and Olympic champ Sir Bradley Wiggins). 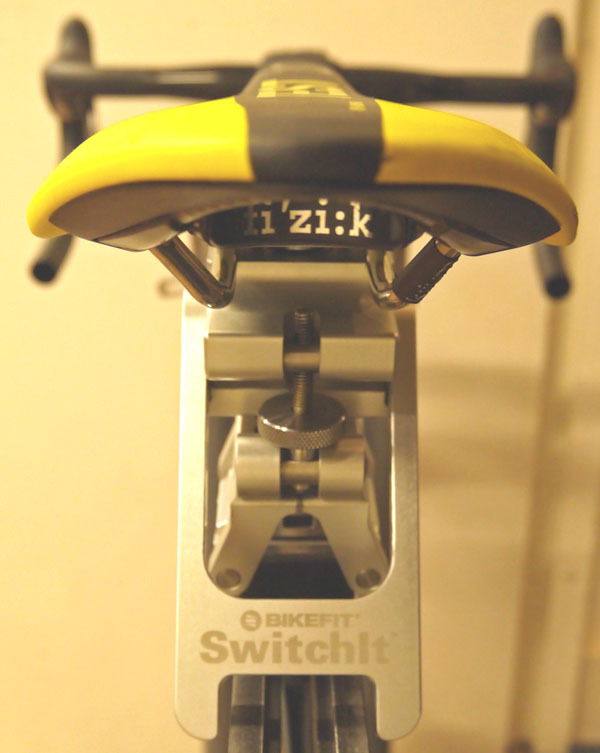 Speedplay pedals might stand out from the rest because of their unusual looks, but it’s their adjustability, versatility and comfort that make them so popular with bike fitters and riders alike. 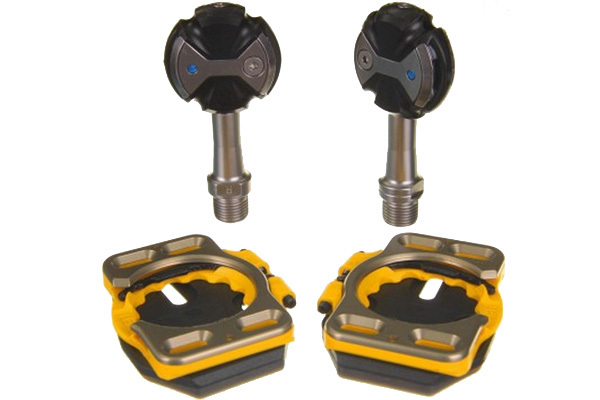 Speedplay pedals are unique in the way their fore/aft position, lateral (side to side) position and float (the level of heel in heel out float can be set from zero to fifteen degrees) can all be adjusted independently without changing any of the other settings. With a traditional triangular cleat, this level of fine adjustment that’s so important to fitting cleats just isn’t possible. 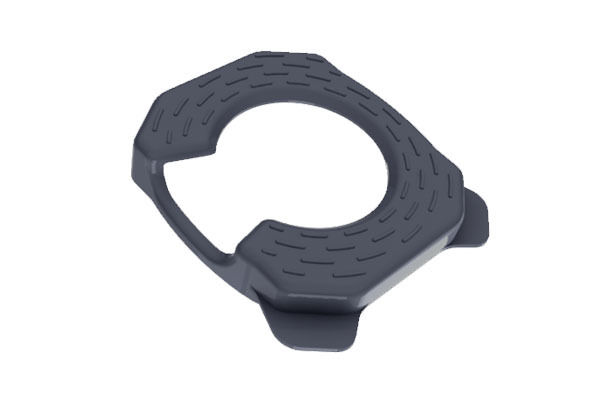 Speedplay pedals can be used with any standard 3 hole drilled road cycling shoe, they’re light, fully serviceable and can be re-greased to maintain a their smoothness and longevity. Double sided entry makes getting in and out simple, with a light action version available for smaller or less experienced riders. Longer and shorter axle versions are also available to special order under the advice of our of our fitters. Keep on covers extend the life of your Speedplay cleats by covering all the vulnerable parts allowing easy walking or running in the cleats without damage. Bike Science Bristol will be closed for our Spring break from Sat 25th May to Tuesday 4th of June inclusive. All pre-existing Level 1, Level 2, Level 3 and Level 4 bike fit appointments during this time will be taken by our fitter and physiotherapist Scott Cornish. 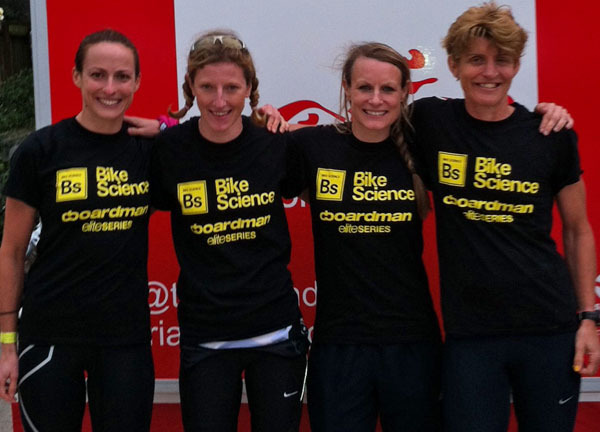 For all other general enquiries contact info@bike-science.com We’ll be checking email during the break. All of our regional fit studios are open as normal. For all enquiries relating to our regional locations, they can be contacted direct as follows. We’re giving away a coveted place at this years Bristol Harbourside Triathlon Sprint event. The Bristol Harbouside Tri continues to grow into one of the U.K’s best events with its fast course and closed roads racing. This year it’s a world champs qualifier with the event selling out weeks in advance. We have a FREE place to give away to one lucky Facebook follower, so “Like” us on Facebook now and share our page to be in with a chance of winning. Once we hit 1000 followers, we’ll pick one lucky winner from anyone who Likes and shares us. Good luck, see you at the race! 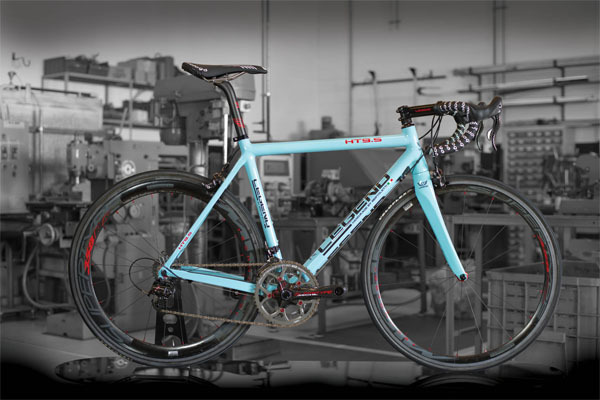 We’re proud to announce the opening of our Eastern Region Bike Science fitting studio. 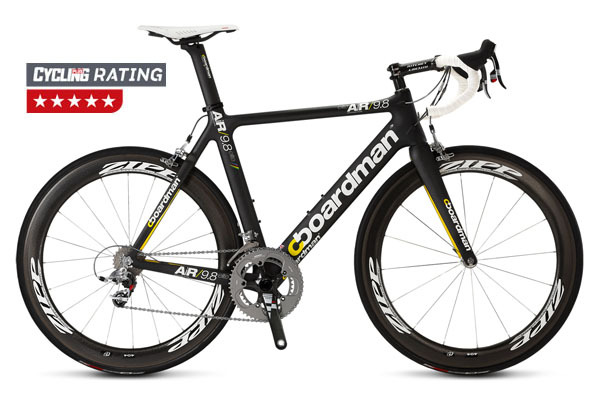 Based at Yellow Jersey Cycles in Billericay, Essex our new studio offers precision Retul bike fitting, plus a chance to try any bike for size before you buy using the Retul Muve fitting jig. Head fitter Chris Jestico gained his Retul certification in December 2012 and performs fits seven days per week in the new studio. Chris has been a cyclist for as long as he can remember and, combined with his extensive retail experience, has opened Yellow Jersey Cycles. 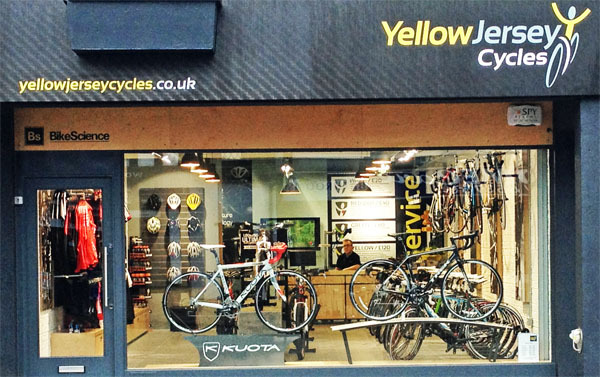 Yellow Jersey cycles also boast a Cytech Level 2 qualified cycle mechanic, clothing, accessories, servicing and a range of bikes from Kuota, Trek and Felt.